Bingo! Bingo! Bingo! Here at Easy Slots your favourite online casino site. 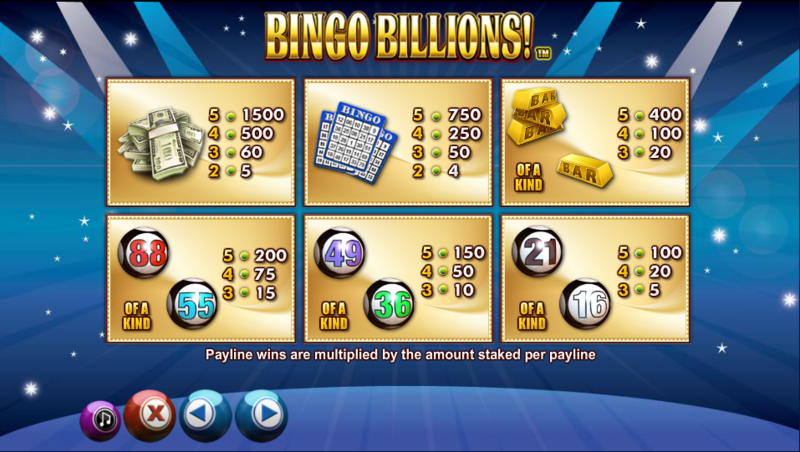 If you enjoy the thrill of ticking numbers off your scorecard while playing a 25 pay line online slot classic side reel then Bingo Billions is the game for you. This is the perfect combination of the love of slots and bingo allowing players to feel a real bingo experience while spinning your way to unforgettable cash prizes! NextGen gaming is ‘proud pioneers’ of platform-independent content delivery. With almost 2 decades experience building games, NextGen is a passionate team who strive to create games that deliver extraordinary entertainment and quality - with integrity and in collaboration with their partners. 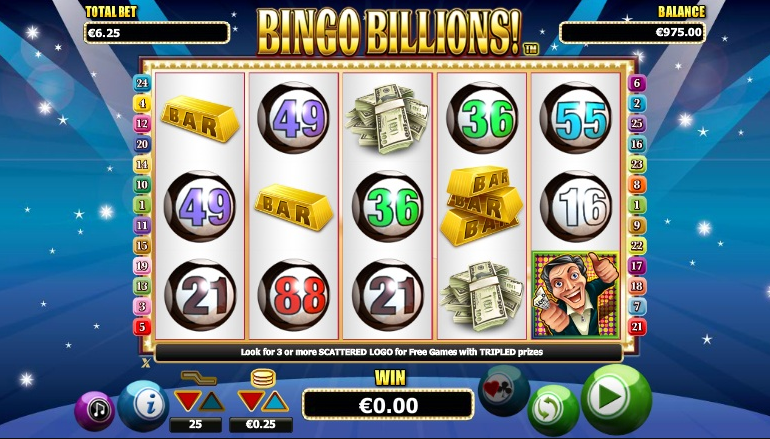 Bingo Billions is a 5 reel, 3-row online video slots game with 25 pay lines. The game's theme is obvious from the start, as the main low-value symbols in Bingo Billions are bingo numbers. The higher value symbols include the generic BARs and wads of cash, along with a custom wild and scatter symbol. You can read more about other games like his here. Before spinning the reels, the player must set their wager and number of active pay lines for the spin. Using the < and > below the “Lines” symbol allows the player to change the number of active pay lines for that spin. The < and > below the “Coins” symbol represents the changing of coin size ranging from 0.01 to 2. The “Max Lines” symbol sets the maximum number of pay lines active, while the “Max Bet” symbol sets the maximum wager. In order to start the reels in motion, the player must press the “Spin” button. However, if the player would rather let the game progress on its own for a while, they can use the “Autoplay” feature to allow the game to play automatically for a predetermined number of spins. The player can use the “Gamble” feature after any win for the chance to increase their winnings. This game requires the player to guess the next cards colour or suit correctly. If the player guesses the colour correctly, their winnings are doubled. If they guess the suit correctly, their winnings are quadrupled. The feature ends when the player guesses wrong, but players can also choose to end the feature by pressing the “Take Win” button. The wildcard of this slots game is the “Winner” icon and it can replace any and all symbols in the game excluding the scatter. Getting 5 of these on an active pay line awards the jackpot of 5,000 coins. 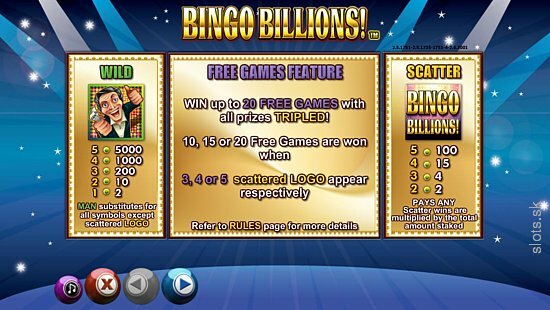 The game's Scatter symbol is the Bingo Billions logo. Landing 3, 4 or 5 of these on a row will activate the Free Game feature. If the player lands 3 scatter symbols, they will be awarded 10 free spins. 4 scatters awards 15 free spins, and 5 scatters awards 20 free spins. Bingo Billions may sound like every pensioner's dream Friday night, but it is much more than that. The game is similar to other slots games, but it's the small tweaks to the traditional gameplay that sets it apart. The inclusion of the gamble feature tempts players to try their luck in hopes of winning big, and the free games feature only increases that temptation. The jackpot of 5,000 is absolutely huge, although I myself haven't managed to crack it yet. I recommend this game to beginners and seasoned players alike. Its simple, recognisable gameplay helps new players find their feet in the world of never-ending slots. 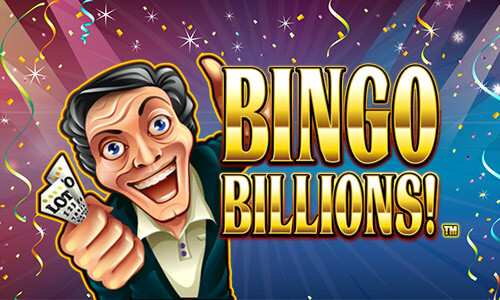 If you enjoyed Bingo Billions you might also like Ambience or Click here to learn more slot games.